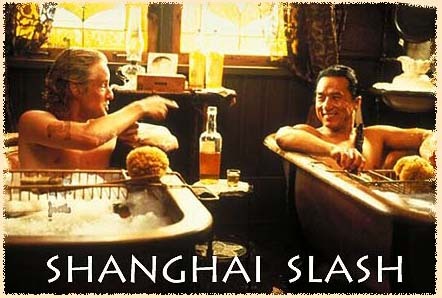 This website was launched to celebrate the film Shanghai Noon and the oh-so-slashy relationship between Chon and Roy. Feel free to browse through our fiction, images, and other information related to the movie. If you would like to talk about the boys, the upcoming sequel, and share ideas about stories, please join our mailing list (see link below). Writer's Resources - Looking for information on the Old West, and Chinese history and culture? Here are a few places to try. The Mailing List - Come and join us!